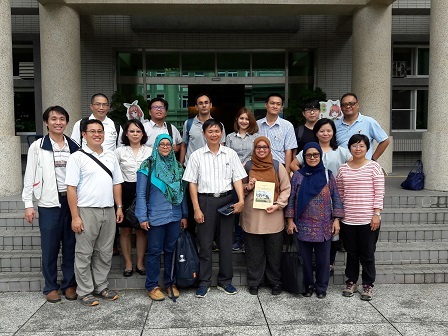 NEIPU (Taiwan) - Researchers from the Department of Land Management, Faculty of Agriculture, Universiti Putra Malaysia (UPM) participated in a Two-way Research programme at the National Pingtung University of Science and Technology (NPUST), Taiwan, which is also the Secretariat for University Network for Tropical Agriculture (UNTA), recently. "Drains were built in an 'L' shape to prevent rainwater from overflowing onto the roads. At locations with high and steep slopes, holes with a depth ranging between 1 and 3 meters were built to slow down water flow," he said. Among the lecturers who participated in the research expedition were Dr. Samsuri Abd Wahid, Assoc. Prof. Dr. Susilawati Kasim and Dr. Arina Shukor. A lecturer at the Department of Soil and Water Conservation, NPUST, Assoc. Prof. Dr. Jie-Lun Chiang, said that settlements in Neipu were mostly built on flat land. 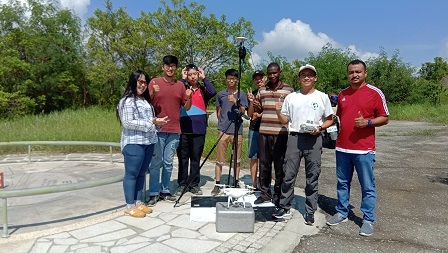 "Monitoring water flow is very important because although the area receives short rainfall, the high distribution causes low-lying areas to flood," he said. "In our outdoor laboratory, we developed the best module to control water flow from the highlands to the lowlands. "At high-gradient areas, we build rather deep drains to reduce the speed of rainwater coming from higher ground. This technique also reduces the impact of soil erosion and erosion in low-lying areas," he said.